A handy naturopathic guide for treating common children ailments using food, hydration, herbal and homeopathic medicines. Written by Australian Naturopath Sally Mathrick. Little ones get sick. It’s a fact. It’s also true that effective natural remedies can support the growing body to resolve common illnesses, reduce suffering and nurture immune system development. Natural remedies often treat the cause of the illness, as well as the symptoms. 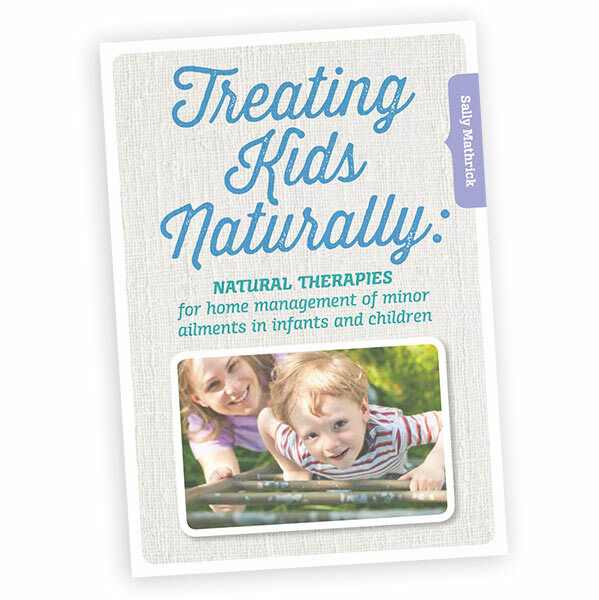 This home guide helps parent to support their children resolve minor illnesses using natural healing therapies. It replaces children’s Panadol as the first go to when someone becomes sick. This e-book provides a grounded, naturopathic approaches to resolving simple ailments, and provides strategies to support kids healthy development, such as how to support the immune system with nutrition. Treating Kids Naturally e-book will help you rear strong and healthy kids by using natural and homeopathic remedies for children. If your child is continually catching everything going around, this ebook provides a way of thinking about health and how to nurture it. It considers preventative medicine approaches, and how to support the development of the immune system. Keep this ebook in your library for quick and easy access to effective health information when you need it. Complements the Sound Medicine Homeopathic Kit for Children.